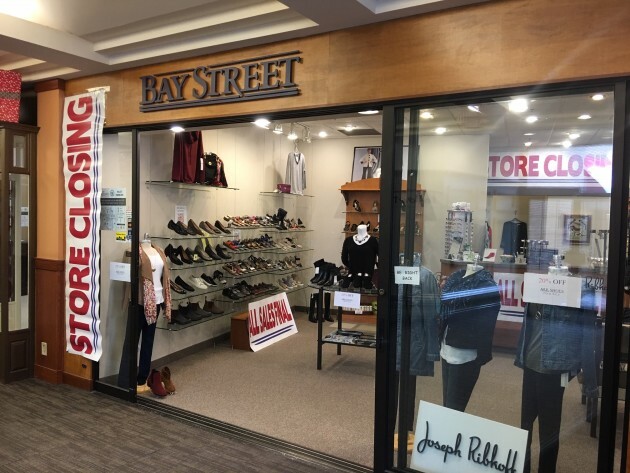 Bay Street Shoes, a tenant in the popular 50th & France neighborhood in Edina since 2003, will close its doors permanently early next year. Co-owner Darrel Besikov said that his sales have been down 50 percent since a major construction project began in January. "I projected we'd be off 35 percent with construction but 50 percent spoke loudly," he said. "We don't want to close. It's basically been forced on us." Others businesses have closed or moved out of the neighborhood as well, including Dana's Apparel, Scout & Molly's boutique, Spruce flowers, Room No. 3 lingerie, Luxury Garage Sale women's consignment, and A La Mode Boutique & Nail Spa. Besikov fears that his business may not be the last to close as a result of the construction, which won't end for another 11 months. "We've been here 15 years and I've never seen more empty spots on France Avenue," he said. Business owners at Grethen House, Fashion Avenue and Bespoke Hair Artisans have said their sales have remained strong during construction, although patrons still complain about access and parking inconveniences. Several new business owners will soon be filling a few vacant storefronts. Haven Nail Salon will move in to 4948 France Av. early next year. Coccinella, a Mediterranean foods, textiles and glasswares store will open in January. Recent openings include Hydrate IV Bar at 5047 France Ave, an energy therapy hydration store to reduce aid with symptoms from colds., flu, jetlag and hangovers. In August Crisp & Green restaurant opened at 3930 W. 50th and Moderna Kouzina opened a few doors down in the former Mozza Mia spot. Tadd Brindley, co-owner of Grethen House women's boutique, said that just as Edina's Galleria went through a reshuffling of some stores, so goes 50th & France. "If you don't take care of your business, it can fall away," he said. "The area needed a facelift." Besikov, 73, said the one reason he decided not to ride the construction through is his age. "If I were 10 years younger I'd be in a better position to break after what we lost, but at my age I can't justify it." Previously, he and his wife owned Bay Street Shoes in Calhoun Square that closed in 2014 after 30 years in business.